The three latest stories from ENENews delved into within this story tell us what the mainstream media will never tell us and as we learn within these linked stories and the videos above, there is likely good reason they're not putting this information out to the world; for to do so would be to admit their own 5+ year failure to alert the public to the dangers we all face and an entire continent in peril. As we're told by nuclear experts in the 2nd video above, the danger we all face is very real and it's very persistent. Vancouver is located on the west coast of Canada. Right after the Fukushima nuclear power plant accident in 2011, seals suddenly died on the shores of Vancouver, and Cesium levels five times the usual amount were detected in the seaweed and fish. The whole world took notice of the strange phenomena that occurred on the shores of Vancouver, thousands of kilometers away from Japan. One Canadian research center has been analyzing marine plants on the Vancouver shores since 2012 to identify the cause. The result of their tests showed that iodine and cesium were detected in much of their marine plants. Now more than 5 years since the disaster, we learn that while most people still don't feel the direct impact from the continuous flow of poison into our oceans and into our atmosphere, fatally high concentrations of radiation have been leaked into the sea and, at least at the current moment, there is no way to put a stop to it. Sea life continues to take a massive hit despite the fact that the mainstream news media continues to implicate itself in this ongoing crime against life by not reporting what's really going on in the Pacific Ocean and along the West Coast. The story from April 25th at ENENews tells us all about that. "Dead animals litter California beaches...an alarming phenomenon...a graveyard of washed-up sea life....influx of malnourished sea creatures...the animals are starving to death." ANP readers know all about the mass animals deaths that have been taking place in our Pacific Ocean and along the West coast from California up to Alaska. We have documented these mass deaths over and over and over again. Despite the fact that you won't be hearing much about Fukushima from the national mainstream media, the stories are beginning to show up almost daily in the local news, and we're thankful for that, as seen in the stories linked below. Why's the national msm refusing to sound the alarm ENENews is sounding loudly and clearly? We thank each of the outlets below for covering this extremely important topic; all of the linked stories below are from the past month alone. Much more below including several new video reports on this ongoing disaster for humanity and all of life upon Earth. NBC L.A., Apr 19, 2016 (emphasis added): Officials are investigating why sick sea lions are washing up onshore… The Laguna Beach Pacific Marine Mammal Center has an overflow of sea lions… The reason for the influx of sea lions remains a disappearing cold water food source. Salon, Apr 21, 2016: Dead animals litter California beaches — California is in its third straight year of “unusual mortality” rates for sea lions. The dismal state was first declared in January of 2013 and death rates have increased each year since… It looks like 2016 will be worse… They are starving to death. The same goes for birds… California beaches are littered with dead sea lions and birds. Watch our video for more on this alarming phenomenon. Marin Independent Journal, Apr 10, 2016: Marine Mammal Center coping with relentness influx of ailing sea lions… “They are skin and bones, they are malnourished, they have secondary infections like pneumonia because their immune systems are suppressed,” said [Dr. Shawn Johnson]… the sea lions appear to be experiencing stunted growth… “These are the smallest pups we have seen in 41 years of study,” [NOAA's Sharon Melin] said. The Marine Mammal Center, Mar 29, 2016: This is the fourth year in a row that we’ve seen California sea lions in crisis… [This year] these animals are also unusually small… essentially fur-covered skeletons—they seem to be experiencing stunted growth… pup weights are the lowest ever documented. Should we really be concerned about the radiation poisoning our water and our air if we can't even see it nor feel it nor taste it nor hear it nor does it seem to be damaging us in any way, at least at the moment? The final story from ENENews that we'll report on today tells us one reason why we should be alarmed and it comes to us straight from the area surrounding Fukushima. 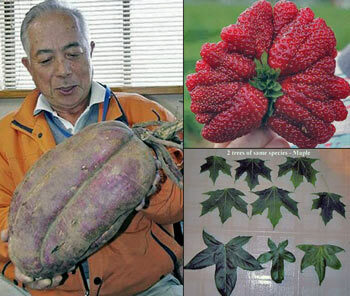 According to Arnie Gunderson, who visited the Fukushima Prefecture recently, many cases of 'gargantuanism' have been showing up in fruits and vegetables, especially in the 2nd and 3rd generations. We're told that more and more people have been reporting this kind of thing as also heard from Arnie in the 3rd video below. 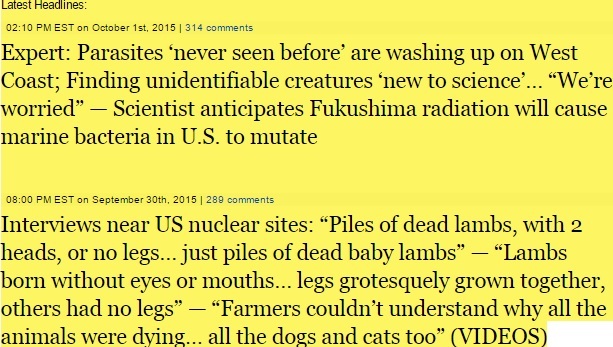 As we read from Daniel Barker over at Natural News and hear from Gary Franchi of the Next News Network in the 2nd video below, babies of Fukushima are being born with extra body parts, if they are born at all. If children are being born with extra arms and legs, and the mainstream media isn't reporting it, are these births really even happening after all? 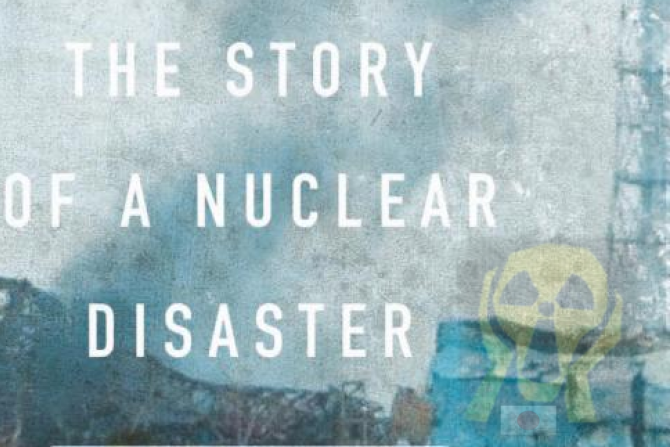 For those who want to hear directly from several people who have survived nuclear disasters, the 1st video below features Bonnie Kouneva, a Chernobyl survivor who lived 800 miles away from the plant when the accident happened on April 26th, 1986. Bonnie speaks about how the accident impacted her life as well as the health of her children. She was only 16 at the time of the accident. 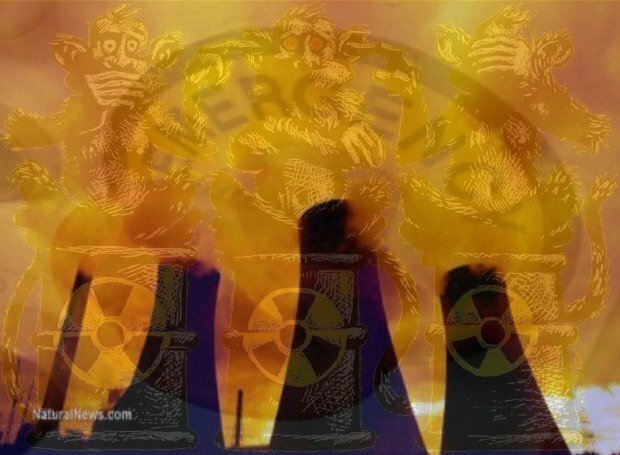 Also featured are several more experts who share their own experiences on 'Nuclear Hotseat' 30 years after Chernobyl with Fukushima still bringing death to American shores whether the msm reports upon it or not. Newsweek, Jan 7, 2016: SoCalGas and public officials have turned [Porter Ranch's Matt Pakucko] and his fellow residents into “guinea pigs.”… [Sally Benson, who runs an energy storage lab at Stanford University] shares a worry of many in Porter Ranch as they deal with the mundanities of the leak: that the gas plume will somehow become ignited, leading to [an] explosion… “They’re really fortunate that this one hasn’t caught fire,” Benson says… [The FAA] has imposed a no-fly zone above Porter Ranch “out of concerns that fumes from the gas leak could be ignited from the air.” Schwecke, the SoCalGas vice president, says workers near the relief well are taking every precaution, not using their cellphones and working with brass hammers, which don’t spark… [David Balen, a local businessman on the Porter Ranch Neighborhood Council] showed me photographs of a white dust that had collected on concrete surfaces around his property; an expert was coming to test the substance, which Balen thought was something toxic. As most ANP readers know by now, as well as those who read ENENews regularly, we're watching a pair of disasters unfolding upon the West coast of America.... one that is nearly 5 years old and the other much more new and palpable. While we'd all love for these disasters to just 'go away', we see in these new stories they're doing nothing of the sort and instead, getting much worse and leaving heartbreaking carnage in their paths. The story headlines today and yesterday from ENENews of our unfolding West coast disasters read like an overview of two disastrous horror movies, connected not by the 'monster' terrifying us but by America and a coastline that stretches from California to Alaska. Both disasters caused in part by our relentless and quite reckless pursuit of power, nuclear and methane, we have to ask once more, what has humanity done to our world? 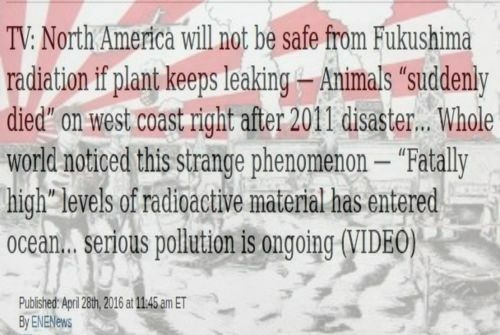 Amazingly, our mainstream media continues to give little to no press at all to Fukushima, which is leaving dead wildlife in its path all along the entire West coast and in the Pacific ocean. It's so sad that we've forgotten that what we do to our Earth, we do to ourselves. However, one completely wonderful quality about this planet is it has a way of 'eliminating' threats to it. If this is what humanity does to that which sustains life, maybe the Earth is better without 'us'. If only our planet could 'select' who to 'eliminate' and focus on those who've created the carnage. Richard Mathews, candidate for California State Senate who studied physics & astronomy at CALTECH: “People are really concerned about this, people are seriously getting sick… Thousands of people are getting sick from this — and it really is a major, major disaster… Methane floats away and spreads around the whole world… All the contaminants that are in with the methane are heavier than the air and that includes… benzene and toluene, hydrogen sulfide — all of those are heavier than air — they tend to stay close to the ground and move downhill. This is happening in the hills above the San Fernando Valley [home to nearly 2 million people] and so the poisons are all moving down into the San Fernando Valley and spreading through the entire San Fernando Valley. Terry Lodge, attorney: “You have a massive release, probably, of radon going on — and there may actually also be radium particulate… I’d be taking very rapid steps [if I lived in the area], I’d be running like hell. And the reason is, I suspect that there’s little by way of emergency anticipation — what could possibly go wrong? 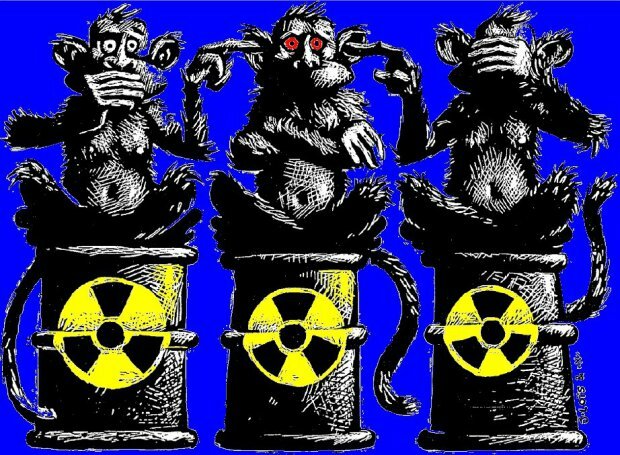 We have this vast underground storage facility… There are not radiation monitors… the problem is sort of the Three Mile Island problem. If all of this isn't bad enough, we also recently learned from Tap News that Los Angeles is 'drowning in methane' as seen in the graphic below which monitors methane levels throughout the city. The 2nd video below explains the graphic below which proves to us that Los Angeles is in very, very bad shape. Armed with a laser gas analyzer that can sniff out airborne methane with parts-per-billion precision, Phillips and Ackley drove around the LA area measuring methane concentrations for a period of five days. 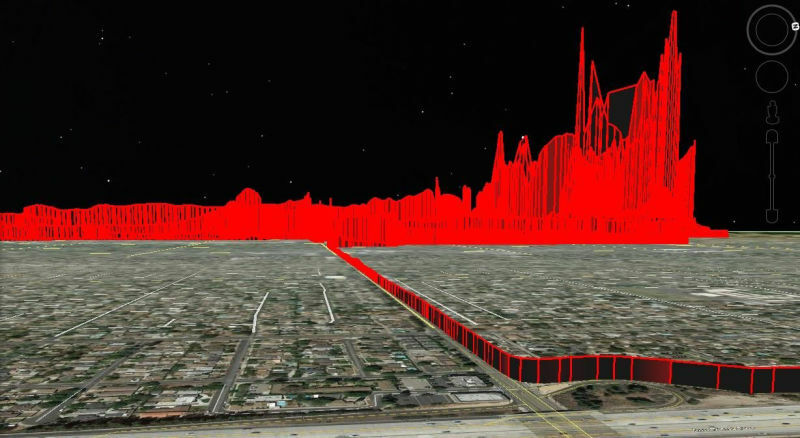 Every time their analyzer detected elevated gas levels, it plotted the numbers to Google Earth. 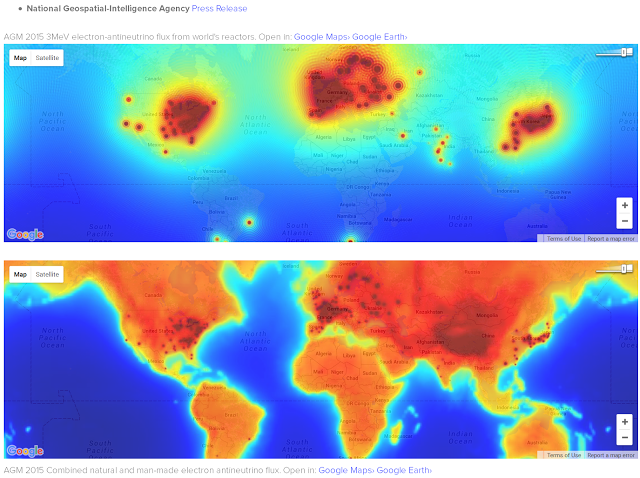 The red bars on their maps indicate where they drove, with higher bars corresponding to higher methane concentrations. Here's a little bit of a taste of what's now happening all along our West coast, from California to Alaska. 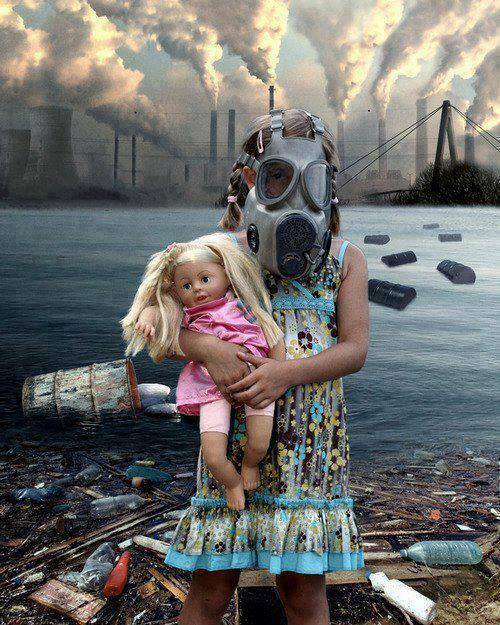 Is this REALLY the legacy and the planet that we want to leave our children? How long will it be until all of this comes home? AP, Jan 12, 2016: “It was pretty horrifying,” [Seabird biologist David Irons] said… An estimated 8,000 of the black and white birds were found dead on the Whittier beach, said [USGS’s] John Piatt… “That’s unprecedented, that sheer number in one location is off the charts,” he said. The stories from ENENews keep coming in, day after day after day. Very rarely does a national, mainstream media outlet pick up any stories from Fukushima or what's happening along the West Coast of America nowadays - do they hope the problems we read about every day will simply 'go away'? 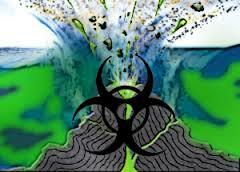 Do they hope that by not doing their 'due dilligence' on the matter, Americans won't learn about the 'never seen before' parasites washing up on the West coast or that, according to one nuclear expert, the US West coast is being continuously exposed to Fukushima's radiation releases warning "it's an ongoing tragedy?" We also learn from the National Geospatial Intelligence Agency via the Nuke Professional blog and this story at Nature.com that underground anti-neutrino detectors have revealed rapidly decaying fission products inside nuclear reactors that we can actually see in these 'nice charts' that: show some very non-nice inconvenient truths about nuke plants emissions. It is really kind of sad when you look at it, these plants show up like an evil beacon of light in these maps. There is A LOT more on these websites. Did the national, mainstream media even care when they learned about real-life stories of 'piles of dead lambs, with 2 heads or no legs" in our OWN backyard here in America, just downwind from a Nevada nuclear test site or of 'crooked calves' downwind from a nuclear plant in Washington state back in a bygone year? We learned that in the late 1940's and early 1950's, "farmer's couldn't understand why all of the animals were dying for no reason" just downwind from the Hanford, Washington nuclear plant. What they experienced there back in those years is now being repeated up and down the West coast and in the Pacific Ocean as sea life, birds and mammal life are being wiped out at astounding rates. In the first video below we take a look at the full History Channel documentary called "Nuclear Meltdown Disaster" for a minute by minute account of the Fukushima disaster, some of which you've probably already heard of and more of what we can almost guarantee you haven't. More videos below include a video put out by the Vancouver Aquarium with one theory about what all of this radiation means to our oceans. 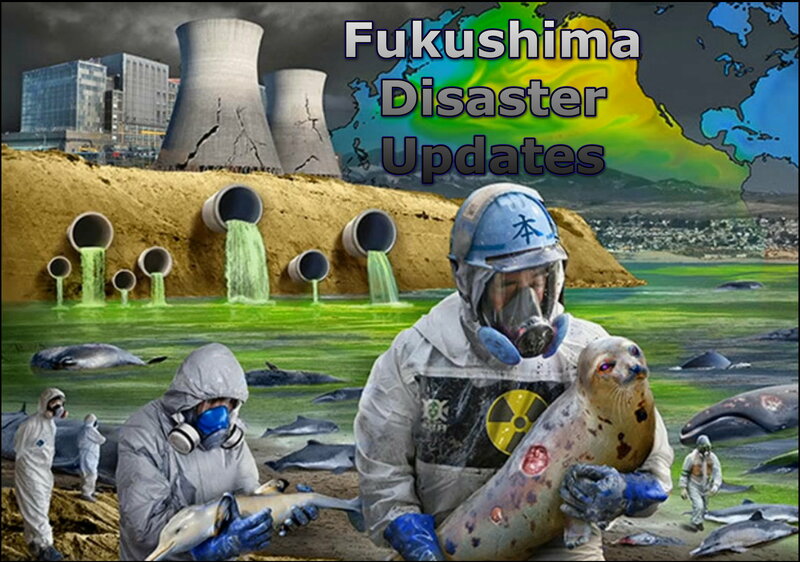 We also take a look here at a video from Citizen of Gotham who takes a look at several new stories from Fukushima Update about what's happening now in Fukushima. All stories he speaks of linked below video. Pu Distribution in Seawater in the Near Coastal Area off Fukushima… the amount of Pu isotopes directly released into the marine environment remains unknown. In the high level radioactive accumulated water collected at the FDNPP after the accident, high level radioactivities of Pu isotopes (ca. 10-3 Bq/mL) were detected. These values were 6 to 7 orders of magnitudes [1,000,000 – 10,000,000 times] higher than that of the seawater in the western North Pacific. In addition, a new study on Pu isotopes… suggested there was a potential sediment-borne Pu supply from Fukushima coastal rivers to the Pacific Ocean. Thus more attention should be paid to the contamination situation of Pu isotopes in the marine environment off Fukushima since the FDNPP accident… Pu isotopes in seawater… needs to be routinely investigated… There are two sampling sites close to the FDNP… 239+240Pu concentrations in seawater were reported in 2012-2014 and the range was from detection limit to 14 mBq/m3 except 31 mBq/m3 observed at T-2-1 site on 10 April 2014. Scientists from Japan, Belgium, and French gov’t (pdf), 2015: Tracing the dispersion of contaminated sediment with plutonium isotope measurements in coastal catchments of Fukushima Prefecture — The Fukushima Dai-ichi Nuclear Power Plant (FDNPP) accident led to important releases of radionuclides into the environment, and trace levels of plutonium (Pu) were detected in northeastern Japan… In this study, we measured Pu isotopic ratios in recently deposited sediments along rivers draining the most contaminated part of the inland radioactive plume… Results showed that the entire range of measured Pu isotopes (i.e. 239Pu, 240Pu, 241Pu, and 242Pu) were detected in all samples, although in extremely low concentrations. The 241Pu/239Pu atom ratios measured in sediment deposits (0.0017 – 0.0884) were significantly higher than the corresponding values attributed to the global fallout (0.00113 – 0.00008 on average in the Northern Hemisphere between 31-71 N)… These results demonstrate that this radionuclide has been transported relatively long distances… and deposited in rivers representing a potential source of Pu to the ocean. NBC (Weather Channel), Jun 16, 2015: A pair of bizarre invasions have left California beachgoers perplexed… Large purple blobs… known as sea hares [and] hundreds of miles to the south… tuna crabs washed ashore. ABC News transcript, Jun 16, 2015: Like something from a science fiction movie, the invasion of the purple blob… [Experts] tell us it’s unusual to see these slugs show up [over] an extended period of time. Morgan Dill: “We’ve been seeing them wash up since September, going all through winter, and now even more in spring. Perhaps it’s because of the warmer water?”… The slugs are among the creatures that have been mysteriously showing up on land. A number of whales have been beached in the area recently. CBS LA, Jun 16, 2015: Countless red tuna crabs have washed ashore… covering the Orange County coastline… conditions few [fisherman] have seen in their lifetimes. Coastline Pilot, Jun 18, 2015: The critters beached before… but Sunday’s activity in Huntington was unusual, said Marine Safety Lt. Michael Beuerlein, who had not seen a similar occurrence in 34 years with the city. NPR, Jun 17, 2015: There’s something strange happening along the coast of So. California. It’s the latest in a string of rare phenomena… [a] red line cutting across the sand for miles… last time there was a major sighting of pelagic crabs was back in the ’80s. Orange County Register, Jun 15, 2015: [They] showed up in early January and again in February on Balboa Island, fascinating marine scientists… Experts said the crabs… haven’t been seen in the area for decades… crabs are the latest in a year of odd sightings along the coast… Rocky Neidhardt, chef at The Shack on San Clemente Pier, said it looked like “millions” of the crabs were in the water, with more along the beaches. ABC San Diego, Jun 15, 2015: The big question many people have is why are they washing ashore? “We’re wondering whats wrong, whether they’re sick or whether there’s something in the water? And why are they all washed up?”… Researchers with Scripps Institute of Oceanography don’t have an explanation… not sure yet if it’s connected to the developing El Nino… Researchers are still running tests, they should know more next week. Vancouver Sun, Jun 22, 2015: Toxic algae bloom west of Vancouver Island threatens salmon… The bloom stretches along the Pacific coast from California to B.C… the cause is unknown… An additional concern relates to salmon stock. The bloom has almost no crustaceans… which is worrisome, [Ian Perry, a research scientist with Fisheries and Oceans Canada] said… “with the lack of crill [sic] and other crustaceans, there is a concern they won’t find as much food”… consequences could be seen in lower salmon stocks returning to rivers in two to four years, he said. Spokesman Review, Jun 17, 2015: A toxic algae bloom that’s unprecedented is range is affecting marine life from Central California toward Alaska… Now, its effects are spreading to mammals. In recent video… a sea lion is shown having seizures. NOAA researchers say they have never seen this before on… Washington’s coast. AP, Jun 15, 2015 (emphasis added): Four years after an earthquake and tsunami destroyed Japan’s Fukushima nuclear power plant, the road ahead remains riddled with unknowns… Experts have yet to pinpoint the exact location of the melted fuel… [T]he hardest part of the decommissioning: Removing the melted fuel from the three wrecked reactors. The biggest questions are where the melted fuel is and in what condition… experts believe the melted fuel has breached the cores and fallen to the bottom of the containment chambers, some possibly seeping into the concrete foundation. Asahi Shimbun, Jun 15, 2015: The road map also maintains the objective of starting the removal of melted fuel at one of the three reactors in 2021… However, a major problem is the uncertainty about just where that melted fuel is located. Yomiuri Shimbun, Jun 15, 2015: Constantly emitting deadly radiation, melted nuclear fuel presents the biggest headache… “The world has never seen a case like Fukushima’s, where nuclear fuel melted and fell through,” IRID technology advisory committee member and University of Tokyo School of Engineering Prof. Hajime Asama said. South China Morning Post, Jun 16, 2015: Scale of Fukushima clean-up revealed as decommissioning ‘road map’ is revised… [it] exposes the severity of challenges faced — Japan’s decision to revise its “road map” for the decommissioning the Fukushima nuclear plant has raised new questions about the scale of the problems that remain to be overcome… Nuclear industry analysts [say they are] trying to solve problems that had never been encountered before… “[They] set as short a schedule as possible to keep public criticism to a minimum… more of a political decision”… Even now, more than four years after the disaster, nuclear engineers can only make educated guesses as to where the molten fuel has pooled and the state it is in.